Damien McCombs answers questions about his job as PLRP First Aid Attendant. To ask your question, visit www.astrobio.net and search for the Pavilion Lake Research Project, or click this link: www.tinyurl.com/askplrp. As I near the end of my doctoral studies, I reflect on how different my thesis is from what I actually started four years ago but at the same time how much things come full circle. 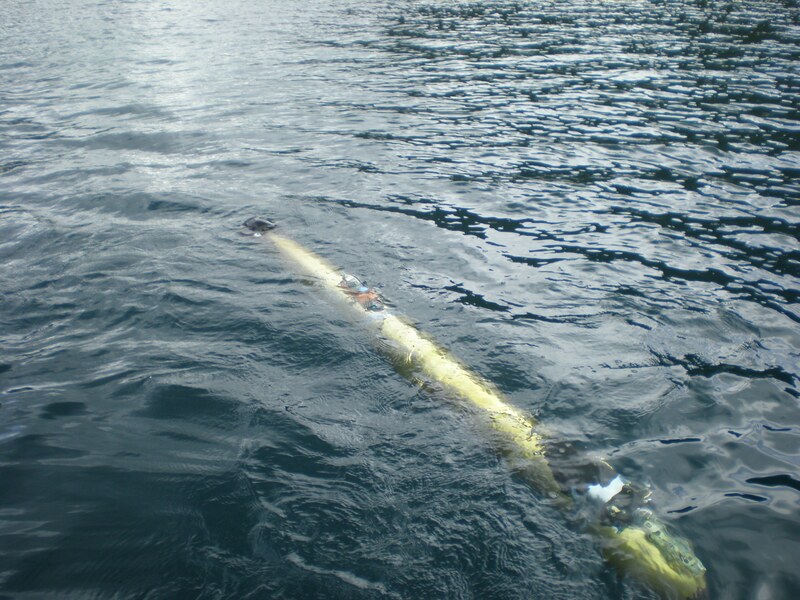 My involvement began when I started using UBC-Gavia, an Autonomous Underwater Vehicle, to map the bottom of the lake. Unfortunately, as a result of the slope steepness in this lake, we found it very hard to accomplish and so the focus of my thesis is on water temperature and physical transport. That said, I’ve maintained a soft spot for image mosaicing. Just recently, we have been working with people from the Center for Coastal and Ocean Mapping (CCOM) and the University of Delaware to mosaic not only the images we have been collecting but also those Deepworker images. The first, and easier dataset to work with, was the flat sections in the middle of the lake which has been of interest due to the microbialite mats that have been observed there. These are easier to process as don’t have roll and pitch errors that are introduced. Below is just a very small sample of what the final product that can be generated. Mosaic of images collected by UBC-Gavia of microbial mats from the central basin (length of image is about 10 m long). In addition to running AUVs, I am also lucky enough to participate in PLRP by being a Deepworker pilot and I was able to have my first flight yesterday. After finishing my mission yesterday and completing all my objectives, I was told that I had a bit of extra time left over so I leaped at the opportunity at testing my new found mosaicing skills. As I was coming back to the barge, I passed by what people around here call ‘microbiliate roads’; long straight lines of microbialite that are aligned along the slope. Lining up the camera, I tried to film a long straight line up the slope. Although the mosaic still has some error resulting from vehicle pitch – you can see this in the image by the fact that it begins to ‘pinch’ out – but I was still pretty happy with the first attempt. So now the next step is to refine the processing so that we can start using these images for our mission planning for both AUV and Deepworker flights. 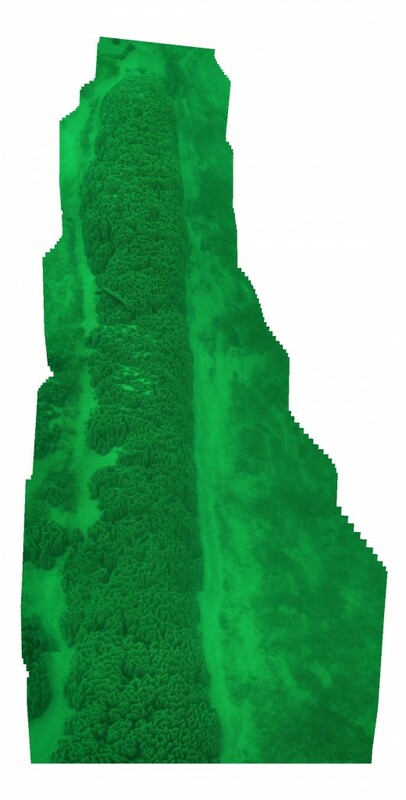 Part of doing this is to clean the images to remove the roll and pitch effects and then we can drape these images over the bathymetry data that we are collecting. This will allow us to start creating a georeferenced map of the photos. Latest Field Test Season Multimedia! Pavilion Lake Research Project! This Google Earth plug-in details Margarita Marinova’s first Deepworker flight for 2010 as the Pavilion Lake Research Project (PLRP) field testing season officially begins. STEPping our way to flight day 1! Hi everyone! 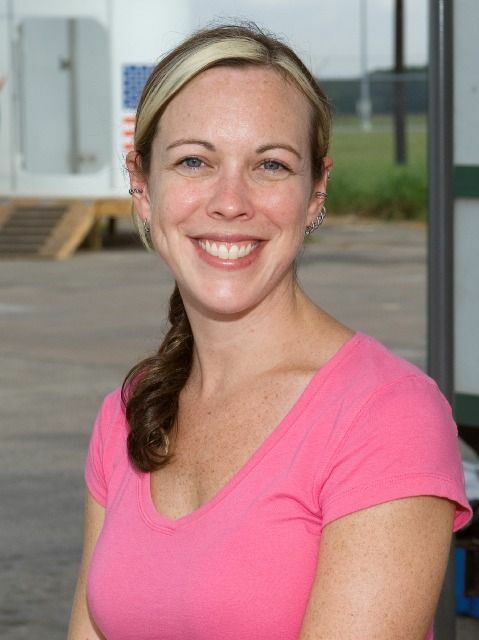 I’m Heather Paul, a mechanical engineer from NASA’s Johnson Space Center. I’m very excited to join the Pavilion Lake Research team this year! I’ve been working on the education and public outreach aspects of the analog missions (just got home from NEEMO 14 a few weeks ago! ), so I’m here to make sure that the world gets to learn about the fantastic science and exploration activities happening here at Pavilion Lake. Most of the team arrived yesterday (including me), and we’re already off to a great start…Today we connected with students participating in the NASA Science, Technology, and Exploration Program (STEP). Several scientists from the PLRP team talked about the field activities, mission goals, and why microbialites are just so cool, all live from the lake! I watched from the roadside as the team prepped the barge that will transport the submersibles to the various science points along the lake. It was amazing to watch as piece by piece the barge was put together, and then finally the two Deepworkers were carefully lowered to the platform. We are all set for our first round of flights tomorrow! Stay tuned, exciting science adventures are just around the corner and we can’t wait to share them with you! Introducing: Heather Paul! Newest member of the PLRP EPO team! Author NASA Testing for Human Space ExplorationPosted on June 28, 2010 Categories UncategorizedTags Analogs, field test, field testing, General, Pavilion Lake Research Project (PLRP)2 Comments on STEPping our way to flight day 1! Live from Pavilion Lake… It’s Saturday Night! Welcome back to Pavilion Lake! It’s been a year since we last explored, and I’m excited to be at the lake with old friends, and new friends alike. This field season will be full of great discoveries, and will highlight some of the best space science and exploration activities that happen on Earth! 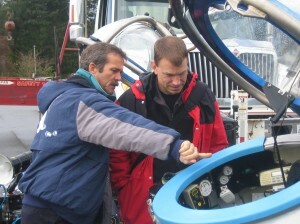 Chris Hadfield and Stan Love at DeepWorker training. We welcome two new DeepWorker scientist-pilots this year: CSA Astronaut Chris Hadfield, and NASA Astronaut Stanley Love. They completed their training in April, and are excited to be part of the PLRP science team this year – you will hear more from Chris and Stan next week! This year my partner in crime, Heather Paul, and I will be working harder than ever to keep you updated from the field – with blogs like this one, 140 character tweets, facebook posts, photos and videos from the team’s daily science and exploration activities. We welcome questions about our research through any of these channels, and will endeavour to answer questions from you as soon as we can! Stay tuned for the return of the live webcams on the barge where you can watch the DeepWorker activity at the lake in real time, and a new interactive mapping feature that will tell the day’s exploration story in a Google Earth map! Thanks for your interest in our project, and welcome back to Pavilion Lake. We are down to the final week of preparations before deployment; all those last minute details that need to be finalized or purchased or re-organized. And there is the constant question “is there anything that I have forgotten.” By the end of the week it just won’t matter anymore, we are heading up to the Lake. Then I get to the stage where I just want to get into the field. The “what-if” scenarios start to play through my head. I know that all those imagined issues and problems be handled seamless once we are at Pavilion Lake and operations are underway. But mostly I am looking forward to working with amazing group of people. 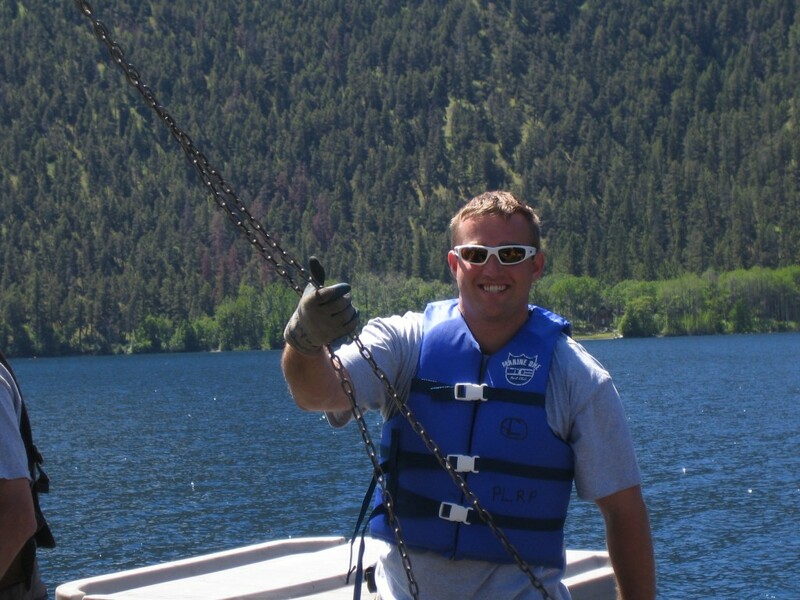 We have a collection of scientists, communication specialists, divers, cooks, field assistants, sub technicians, boat operators and support staff (many of these people taking holidays to work with us at Pavilion Lake) that will all pull together to create The Pavilion Lake Research Project. And in three weeks, when the field season is over, I will look back and be in total awe of what all these people have accomplished. As the 2010 PLRP field season draws nearer, we are all busy with plans and preparations. This summer will be a bit different for me as our fearless leader Darlene will be on maternity leave and I will be stepping into the role of acting Principal Investigator (PI). A daunting task, but I know I have the support of an amazing team of people and we’re all working towards having a fun, safe and successful field season. Looking back over the last 5 years that I have been involved in PLRP I am in awe of what we’ve accomplished and how much we’ve grown. Last year we successfully mapped additional regions of the lake using the DeepWorker submersibles and re-visited areas of interest identified in 2008 for more detailed imaging and observations. We were also very successful in classifying a great deal of our DW imaging data while in the field. This was a huge accomplishment and the entire team worked very hard to make this happen, we hope to have a repeat this year. Examination of the 2009 data has helped us to identify more regions that show interesting trends that we will be exploring in this upcoming field season. Flight planning for 2010 is going ahead full-steam! We are very pleased to continue with our astronaut training program this year and welcome Chris Hadfield and the Stan Love to the PLRP gang. I can’t wait to see their reaction to viewing this remarkable lake and the microbialites for the first time. 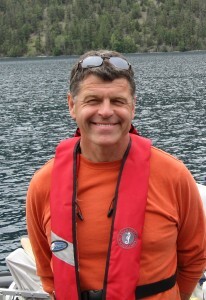 As always, there are a number of fundamental science questions that we are working towards answering through the exploration of this beautiful lake, not only with DW but with SCUBA and GAVIA as well. We will continue to examine questions regarding the role of biology and physical parameters in carbonate precipitation including: What are the dominant surface microbial and viral communities? Does grazing by macroorganisms affect microbialite morphology? What is the role of algae? How do depth and slope affect morphology? And many more… I’m looking forward to partaking in some great science and exploration activities this summer. The field season is nearly upon us so stay tuned for more updates!